1.2 oz. 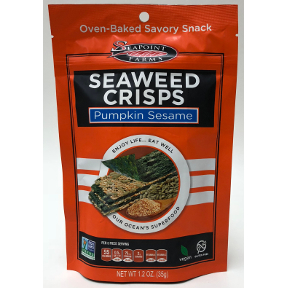 travel size package of pumpkin sesame seaweed crisp snacks. Verified Non-GMO. Vegan. Gluten Free. Kosher. Oven Baked Savory Snack.